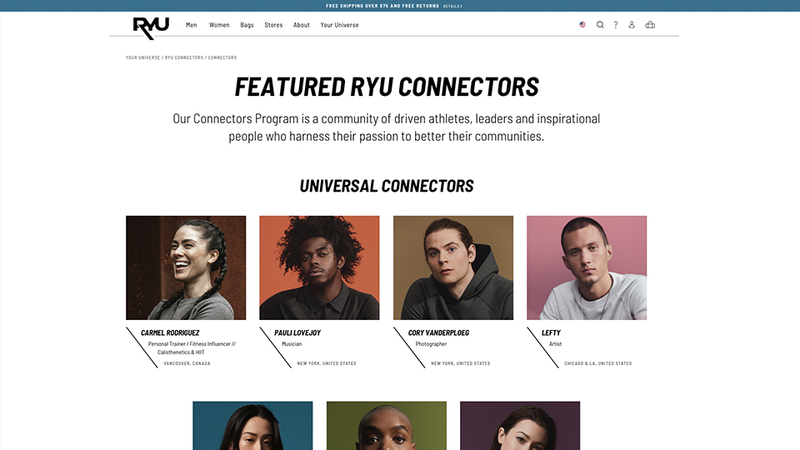 A total brand-reboot and replatforming, centered around a digitally-centric eCommerce destination that prioritized the objective of putting RYU's high-tech athletic apparel and their customer base of urban athletes at the core of a unique omnichannel user experience. What building an urban centric, digitally focused, omnichannel brand looks like in one of the most competitive segments of the fashion industry – athletic apparel. 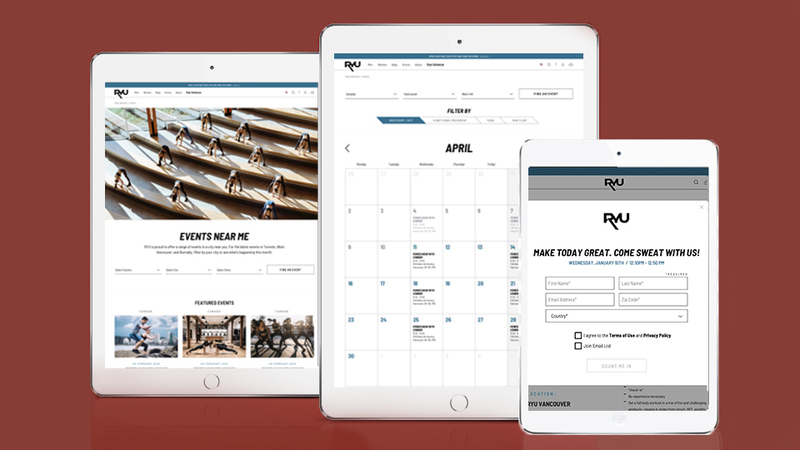 Think of Apple, but for athletic apparel, and you’ll get RYU apparel. 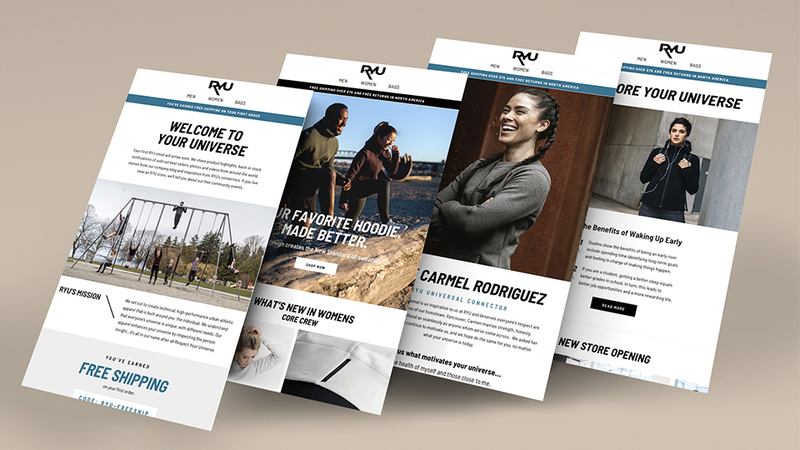 Founded in Oregon in 2008 and re-launched in 2015 when current President and CEO Marcello Leone acquired the company, RYU is the perfect aspirational brand for all those seeking technical athletic apparel, innovative fabrics and high-performing designs to wear when training, running, or going to and from a workout. RYU’s offering of uber-distinctive and high-quality products, matched with the booming community of like-minded individuals that is gathering around the brand—what we might term today’s urban athlete—are here to service all needs of their core consumer base, above and beyond sport. In fact, there’s more than just pure play: RYU is also known for its Corporate Social Responsibility (CSR) commitment, its award-winning patented designs, and is a recognized thought leader in the field of mental health awareness thanks to its #OneMoreRep campaign, recognized as social media campaign of the year in 2017. 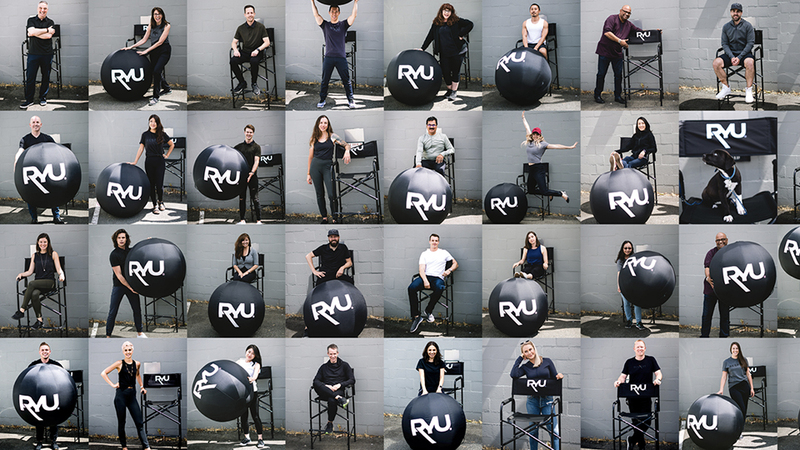 RYU has 9 stores across Canada and the US, as well as monthly offline events, giving n e t a the ideal ingredients to initiate a digital replatforming and re-branding of an incredible brand. RYU is offering the right product at the right time to the right consumer, with a 2018-relevant message that puts customers at the center of the omnichannel experience. Enter n e t a. Challenge: How to digitally re-platform, re-brand and accelerate growth in one of the fastest growing sectors in fashion – athletic apparel. Selectivity and exclusivity: appeal to the specific needs of customers with diverse body types and physical pursuits. Digital simplicity, design and tonality cannot be underestimated and should be commensurate with RYU’s product design, marrying utility, technology and effective ‘marketing’ throughout all customer interactions. Simplify, yet be 1 step better than the competition as it relates to policies such as: customer guarantees, return processing and back-end order processing for RYU. Quality is aspirational, and innovation is key: incorporate tagging, iconography, and visually stimulating education of patents and technical features. Make the community work for you, with you. Cultivate loyalty, leverage offline events and let the customers do the talking on RYU’s products. Re-engineering a brand experience that lasts. n e t a’s multi-disciplinary team of strategists, analysts, content creators and UX experts worked in collaboration with the RYU in-house team, writers, photographers and 3rd Party partners to re-architect RYU. Our priority was solely to re-establish it as a digitally-centric urban apparel destination, ready to tackle the ambitious goal of targeting cool and aspirational consumers looking for clothes that could fully satisfy their needs for performance, style, comfort, and ultimately ensure that they are living their best life no matter what activity they may be engaged in. A savvy and carefully orchestrated blend of digi-physical experiences and assets allowed us to outline a new way forward: through a preliminary system migration from Shopify to Magento (to ensure a better fulfillment and URL re-structuring for top-notch analytics), placing the consumer at the center of the RYU.com experience, and making the product the hero of the information architecture (IA – UX). SEO-oriented copy that is stylistically on brand, user-centric and a consumer acquisition vehicle that began to cultivate organic search engine rankings prior to the new platform even going live. 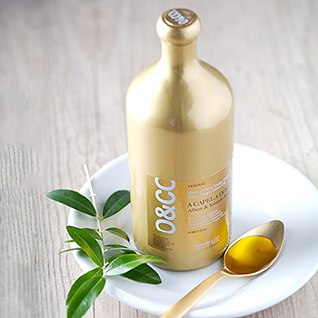 Bring humanity into all product photography and product video assets, shifting from previous 3-D rendering. 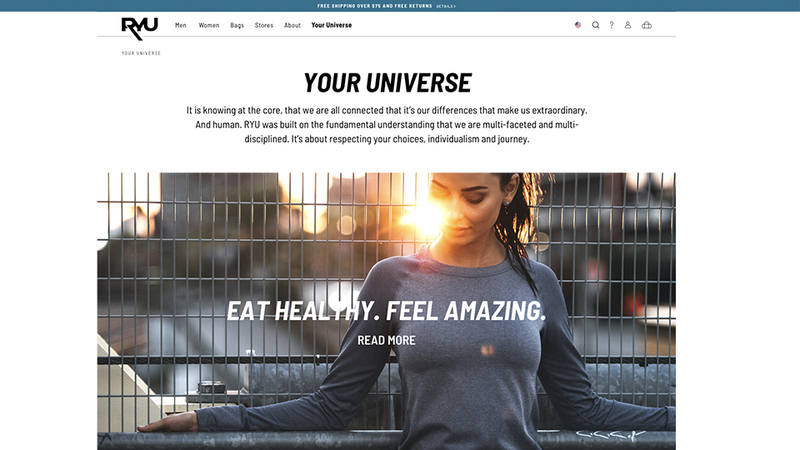 Integrate brand storytelling and product storytelling through compelling about pages, press and email marketing that builds not only awareness around technical attributes, but also a cult-brand following. Highlight transparency and some of the great work that RYU is doing such as lean and fair production processes, where RYU chooses bluesign® certified mills whenever possible, in addition to evolved social corporate responsibility campaigns and partners. Inspire others through RYU’s connectors (like fitness guru Carmen Rodriguez) who are both trainers and RYU apparel brand loyalists, by sharing their motivations and how they reach their #lifegoals. Streamline RYU’s ability to track KPI’s through a robust Google Analytics tagging solution and execute a 301 re-direct feature that will provide the RYU marketing team the ability to orchestrate, respond to, and project accelerated growth as the RYU.com platform scales and expands its reach. 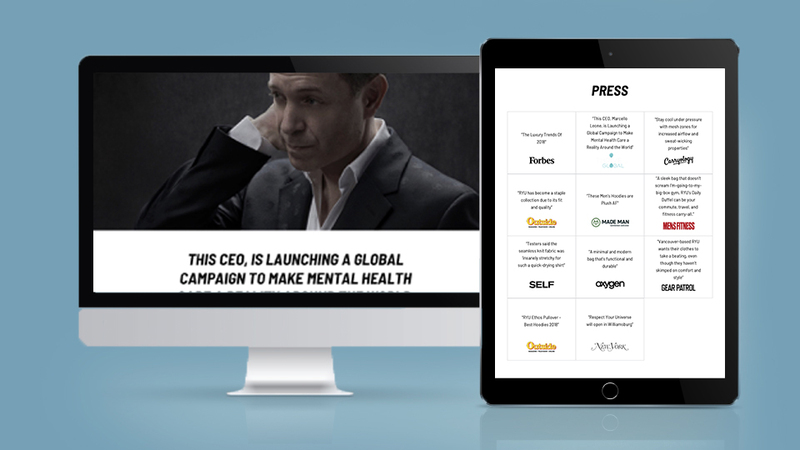 Following the roll-out of the RYU.com platform, n e t a’s focus will shift towards performance management, analytics consulting and content creation with the ultimate objective of driving a blend of brand awareness, consumer and user engagement, channeling growth that maximizes conversions and long term-ROI.